Emmanuel Church enjoys a warm and collaborative relationship with the School in the service of the whole wider community of West Hampstead. Church of England Schools are not “faith schools” in the way that such phrases are often used in the media and elsewhere, but rather schools which exist for the whole community. At Emmanuel Church we would see ourselves as generously orthodox and everyone is warmly welcome at all our services and activities, irrespective or race, age, way of life, sexual orientation or physical ability. We are members of the umbrella network “Inclusive Church” and would see the essential inclusivity of the Gospel of Jesus Christ as central to our core values. A quiet reflective service to start the Lord’s day lasting about 30 minutes. Our more traditional, choral service. Each week the whole school comes over to the Church for a celebration of the Eucharist and are often joined by parents, friends and members of the community. 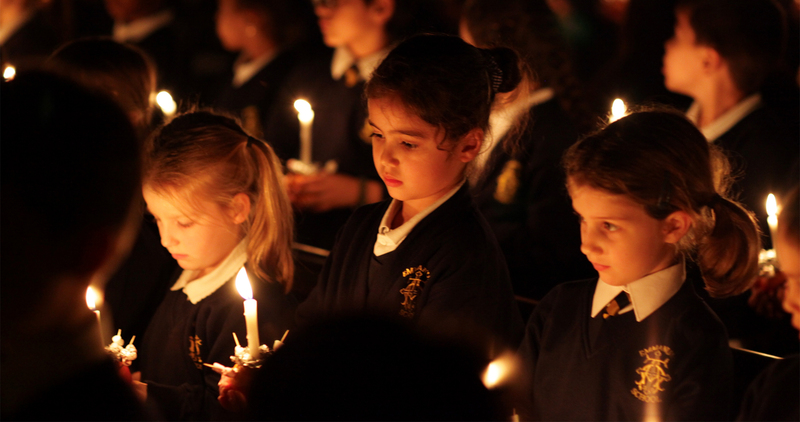 As a Christian school, our inclusive Christian values permeate our curriculum and assemblies and parents and carers are ask to accept this when they send their children to Emmanuel School. This essential inclusivity ensures that we are not doctrinaire or inappropriately proselytising and it is right of every parent or carer to withdraw their child from acts of worship if they so wish. We rejoice that we live in a diverse and multi-cultural society and it is the policy of the school to teach children about other beliefs and traditions to enable them to be sensitive and tolerant towards those whose religion and culture is different from their own.